The Corporation for National and Community Service (CNCS), through the people power of our AmeriCorps and Senior Corps programs, provides resources to help communities mitigate, prepare for, respond to, and recover from natural and man-made disasters. The service our members and volunteers provide is offered selflessly to help our fellow citizens in their greatest time of need. The support national service gives to state and local governments, nonprofits, and faith-based organizations builds their capacity to plan for these events, and bolsters the help they can provide during the months and years of recovery that follow. Much of the credit for this effort goes to the CNCS Disaster Services Unit, which leads and coordinates our efforts in this area. We have specially trained AmeriCorps Disaster Response Teams that are available to deploy at a moment's notice to assist emergency management agencies nationwide. We also have a partnership with the Federal Emergency Management Agency (FEMA) that utilizes AmeriCorps NCCC members to strengthen federal disaster preparation and response efforts through a special FEMA Corps unit. There are also Senior Corps RSVP volunteers who are trained to help in times of emergency. 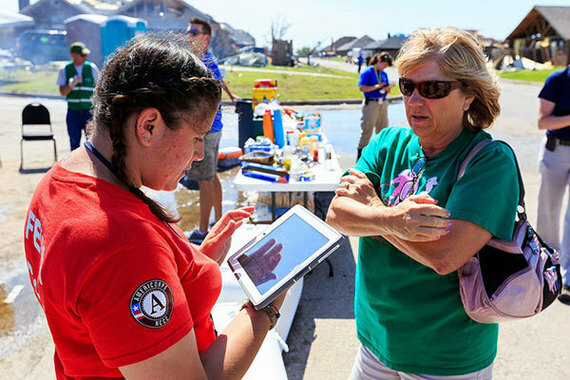 When disaster strikes, you will find national service members operating hotlines and shelters, or organizing volunteers and managing donations that arrive on the scene. And our AmeriCorps members continue to help communities recover for months and years by mucking and gutting damaged homes or making much-needed repairs. The 2017 hurricane season had 17 named storms, 10 hurricanes, and six major hurricanes. (The National Weather Service predicts a likelihood of 10-16 named storms this year.) Many communities in Texas, Florida, Puerto Rico, and the U.S. Virgin Islands affected by Hurricanes Harvey, Irma, and Maria are still recovering from the impact of those storms. And even more communities needed help before and after floods, wildfires, tornadoes, mudslides, or other emergencies that may not have become national news, but deeply affects those impacted. However, when preparation is not enough, it's good to know that national service is ready to help our neighbors in need. P.S. Visit the National Service Blog to find some timely hurricane preparedness tips from our Disaster Services Unit. Editor's note: By clicking the links below, you may be connecting to websites created by parties other than the Corporation for National and Community Service (CNCS). The CNCS Office of External Affairs provides links to these stories because they contain information that may be useful or interesting to the national service and volunteering community. These links are for reference only, and CNCS does not endorse the individuals or organizations associated with these links, and cannot attest to the accuracy of the information provided by websites outside of our control. 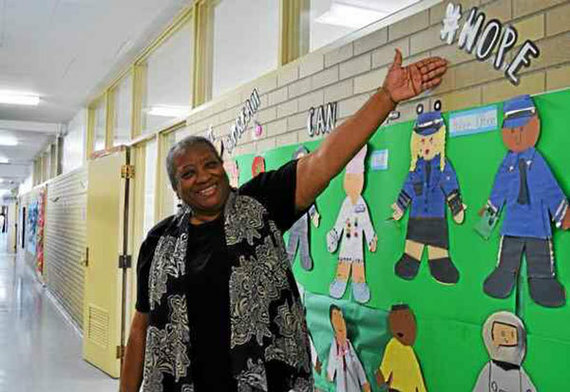 When 68-year-old Doris McCutcheon’s daughter died in 2012, it was the Foster Grandparent Program at Herrington Elementary School in Pontiac that she says helped her keep her life on track. A resident of Auburn Hills and working in social services all her life, McCutcheon was recently honored with the 2018 Governor’s Service Award in the senior volunteer category for her work with at-risk youth. Administered by Catholic Charities of Southeast Michigan, the Foster Grandparent Program brings seniors into local schools to work one-on-one with children in reading, math, social skills and overall mentoring. Jaz joined Talbot Mentors in 2015 as an AmeriCorps service volunteer. Today, in her staff role as Match Support Specialist, she screens mentor and mentee applicants, helps with mentor training, makes match decisions (she calls it “initiating friendships”), and supports the relationships along the way. She and her colleagues on the Talbot Mentors team are available to help the volunteers to become stronger mentors. Lily Silva, 77, arrives with a smile and the kind of energy you would expect from a woman half her age. She’s just walked into the lobby of a senior apartment complex where she spends a few hours a day, a couple of days a week with Lola Zarins, 88. Zarins is enrolled in InterFaith Works’ Senior Companion Program. The agency has been running this program since 1986. It is designed to meet the needs of frail elderly in Onondaga, Madison and Cayuga counties. Each week, we provide a social media shareable to use on your networks. The school year may be nearing its end but that doesn't mean we stop thinking about our students. Regular readers of the National Service News email may recall that CNCS devotes about half of our federal budget appropriation to education programs and initiatives. With that in mind, we created a toolkit for superintendents, principals, and other education stakeholders that provides some deeper insight into the ways we support student success across the nation. Check it out by visiting our website, and help us spread the word by sharing this information on your social media networks. Every June hurricane season begins in the United States. 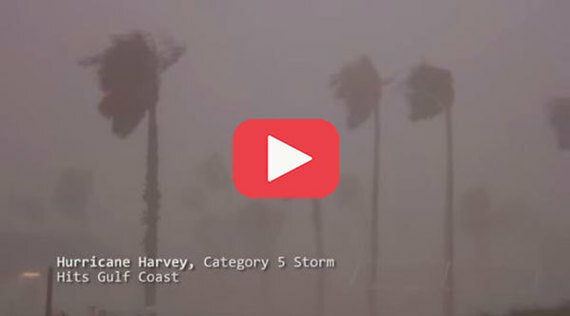 Although the season runs through the end of November, the effects of hurricanes and other natural disasters can last for years. But a new group is helping people recover from those tragedies. It’s the Recreational Vehicle Disaster Corps, a program that provides a coordinated effort to enable RV owners to respond to areas in the U.S. touched by disaster. These roving volunteers act as second responders, usually aiding in the first couple of months after the disaster, helping affected residents clean up property, deal with paperwork, and even listen to their stories. The National Legal Aid & Defender Association (NLADA) has partnered with the Corporation for National and Community Service (CNCS) to create an innovative new AmeriCorps program. This program, Defending Communities in Service, places VISTA members in public defender offices to assist in the implementation of holistic defense solutions and increase the capacity of these offices to protect their client’s right to counsel. Frank Aloi of Portville received the Cattaraugus County Retired Senior Volunteer Program Outstanding Community Contribution Award Thursday at a RSVP Recognition Reception at the Great Valley Banquet Center. Aloi, a former Portville mayor from 1979 to 1995, is a volunteer at the Portville Senior Wellness and Nutrition Site and serves on the Department of the Aging Advisory Council. Last year, his 10th year in RSVP, Aloi donated 236 hours. He was among 24 individuals who received their 10-year award. An urban farming initiative is making its way to several NYCHA developments across the city. AmeriCorps service members are working at Green City Force as part of its "Farms at NYCHA" initiative. The initiative will bring urban farming to six NYCHA developments across the city over the span of 10 months. Most of the volunteers are young adults from NYCHA developments, organizers say. In an effort to provide better social services to the region’s elderly population, the Area Agency on Aging 3 is using a $170,000 grant from the Corporation for National and Community Service to recruit up to 100 volunteers to be shared among multiple organizations. The senior volunteer corps consists of people over the age of 55, who may be retired or approaching retirement, looking for ways to give back to the community. AAA3 CEO Jacqi Bradley said the organization has already recruited 37 people, and they are looking for more. Rocky Mountain Youth Corps celebrates its 25th year in 2018, continuing its award-winning tradition of engaging youth in the outdoors while linking community, education and environment through service. RMYC, now in its newly remodeled 4,300-square-foot Steamboat Springs, Colo. headquarters, has served 8,365 youth in its two-and-a-half decades of service, including more than 4,000 through its Yampa Valley Science School and 4,200 (ages 11-25) through its youth corps programs. More than 6.7 million low‐income youth between the ages of 16 and 24 are either homeless, in foster care, involved in the juvenile justice system, unemployed, or not enrolled in or at risk of dropping out of an educational institution. Through programs such as AmeriCorps, the Corporation for National and Community Service (CNCS) recruits opportunity youth to engage in national service projects, and in return, these young adults receive mentoring, coaching, and skills development that position them for success after their service ends. CNCS’s Office of Research & Evaluation recently completed a study of opportunity youth who were engaged in service as AmeriCorps members. A program quickly expanding in the Northwoods strives to help people recovering from substance abuse. Recovery Corps is an AmeriCorps program offered by Marshfield Clinic. The program trains and uses recovery coaches to help out those affected by a substance abuse disorder. The Recovery Corps program headquartered in Minocqua started last September and has about 12 coaches. The organization covers Forest, Vilas, Oneida, Price, and Iron Counties, along with three Native American tribes in that area. FoodCorps will embed trained AmeriCorps service members in Western Elementary School as part of an effort to engage students in healthy eating habits. The program is funded through a $30,000 grant from the Connecticut Community Foundation to the Connecticut affiliate of FoodCorps, a press release stated. The grant is also paying for the program at four schools in Waterbury. The AmeriCorps service members will work in collaboration with school nurses, cafeteria workers and teachers on a variety of activities, such as teaching health or science lessons, or helping to build a school garden. A lot for someone else. She started helping raise money for pediatric cancer while she was still recovering. She’s now raised around $6,000 in just two years. “My slogan for the project is 'We got this,' 'cause you can always fight through it with other people,” Natalie said. For her work, Natalie is receiving the President's Volunteer Service award. Yes, from the President of the United States. The Corporation for National and Community Service announced the availability of Senior Corps state-specific competitive grant funding opportunities. Our 2018 Senior Corps Foster Grandparent Program and Senior Companion Program Replacement Sponsor Competitions are currently underway in the following states: Georgia, Missouri, Nebraska, New Jersey, North Dakota, Pennsylvania, South Dakota, and Utah. On September 13, the Corporation for National and Community Service (CNCS) will honor the extraordinary service of AmeriCorps programs, members, and alumni at the AmeriCorps State and National Symposium. CNCS is inviting all AmeriCorps programs, state commissions, and members to submit nominations for excellent programs, currently serving members, and AmeriCorps alumni in NCCC, State and National, and VISTA. Click below to find more details on eligibility criteria, the nomination rules, and step-by-step instructions for writing and submitting nominations. The nomination deadline is Wednesday, June 13, 2018.